Circuit Judge Steven J. Levin is currently assigned to preside over the dependency cases, the non-jury civil cases, the guardianship cases, the Jimmy Ryce cases and the Risk Protection cases in Martin County. Inadditionhe presidesoverMartinCountyAdultDrugCourt and Martin County Juvenile Drug Court as well asSt.LucieCountyAdultDrugCourtandSt. LucieCountyJuvenileDrugCourt. Prior to this assignment, Judge Levin presided over criminal cases in St. Lucie County as well as the specified Drug Courts previously mentioned. 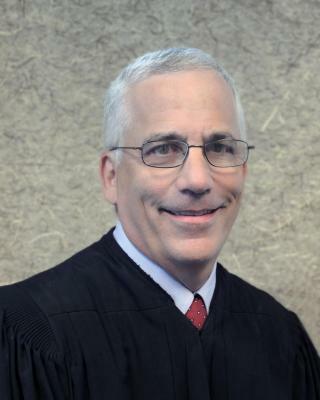 From July, 2009 to July, 2015 Steven J. Levin was Chief Judge of the 19th Judicial Circuit of Florida which includes Indian River, Martin, Okeechobee and St. Lucie Counties. Prior to being elected Chief Judge, Judge Levin was assigned to various judicial divisions throughout the Circuit as a Circuit Judge since his appointment to the bench in 1999 by then Governor Jeb Bush. Prior to his appointment, Judge Levin was an Assistant State Attorney both in the 7th Circuit and the 19th Circuit since 1984. As a Circuit Judge, Judge Levin has taken upon himself to plan and preside over many specialty courts which are specifically designed to save lives, save money and to protect the community by providing alternative therapeutic options for offenders. Judge Levin has not only presided over various Drug Courts and a Mental Health Court but also almost immediately upon becoming a Circuit Judge started to create new specialty courts throughout the Circuit. In the early 2000’s, Judge Levin planned and started the first Adult Drug Court in both Martin and St. Lucie Counties, the first Juvenile Drug Court in St. Lucie County, the first Dependency Drug Court in Martin County and the first Mental Health Court in Martin County. In addition to beginning these specialty courts, Judge Levin was also the presiding judge in the Martin County Juvenile Drug Court which has been in existence since the early 1990’s. Throughout Steve Levin’s career as a prosecutor and as a Circuit Judge, he has been highly involved in the communities in which he serves. As a Judge, he is a Founding Member and Past President of the Justice Major B. Harding American Inns of Court, has served on the Supreme Court Task Force regarding Drug Courts throughout Florida and has been recognized by receiving the Adoption Champion Award in 2006 from the Children’s Home Society. He has been a member of the Children’s Services Council of Martin County. He is a member of the Public Safety Coordinating Council and Shared Services Alliance of Okeechobee and the Treasure Coast. Judge Levin is also on the Executive Board for the Florida Conference of Circuit Judges. Prior to becoming a Circuit Judge, Steve Levin, as a prosecutor, received the LB Vocelle Pro Bono Service Award from the Florida Rural Legal Services, Inc., served on the Florida Prosecuting Attorneys Association Domestic Violence Statewide Network; the Florida Prosecuting Attorneys Association Education Committee; the Executive Round Table Steering Committee and the Shared Services Network of St. Lucie County. He was a participant on the Concerned Citizens Committee of St. Lucie County and served as a Grievance Committee Chair for the Florida Bar in the Nineteenth Judicial Circuit. Florida in 1980 and his Juris Doctor Degree in 1983 also from the University of Florida.